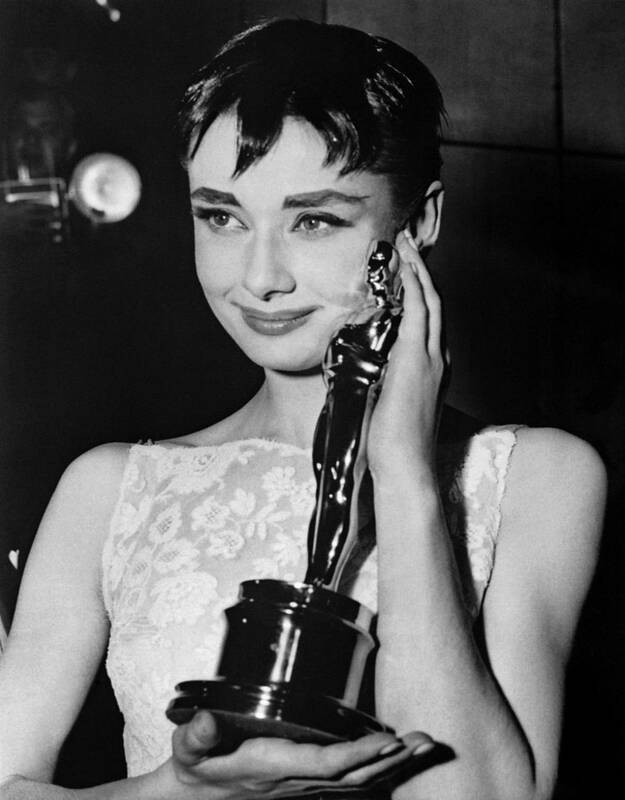 Hepburn is one of only 12 people in the world who have won 4 major awards, being: an Emmy ( host of Gardens of the World with Audrey Hepburn), a Grammy (spoken word album Audrey Hepburn’s Enchanted Tales), an Oscar (best actress for Roman Holiday) and a Tony (best actress in Ondine). Audrey Hepburn favorite color was thought by some to be White (which is really not a color anyways) but according to her son Luca Dotti in a Vanity Fair article, her favorite color is actually cyan. Audrey was training as a dental assistant right before she was found by a talent scout who wanted her on the broadway play “Gigi” which was her big break. The Nazi’s over took Audrey’s town and thousands had died as a result including some of Audrey’s relatives. Whoever was suspected of being a part of the resistance, they were rounded up and killed. Most people starved to death because they could not freely move about. In one instance, she was suspect and rounded up by truck. She barely escaped when the Nazis pulled over to the side of the road. Audrey worked for the Dutch resistance and would carry secret messages in her ballet slippers. She would be killed if she was ever caught. In one instance, she was suspect and rounded up by truck. She barely escaped when the Nazis pulled over to the side of the road. As an agent for the Dutch Resistance, she performed in a series of secret ballets to help raise money for the rebels – after the shows, no one would applaud because their cheers would alarm the German Soldiers. These performances would be called “black performances” to raise money for the rebels and their underground war against Hitler. This is one of my favorite Audrey Hepburn Facts! More info on the Dutch Resistance and how she was in the “military”. 16-year-old Audrey Hepburn was a volunteer nurse during World War II in a Dutch hospital. During the battle of Arnhem, Hepburn’s hospital received many wounded Allied soldiers. One of the wounded soldiers Audrey helped nurse back to health was a young British paratrooper. Little did she know, the young man would be a future director – named Terence Young and within 20 years would later direct Hepburn in Wait Until Dark. During World War II, Audrey’s town had been taken over by German soldiers. People were not allowed to freely come and go. 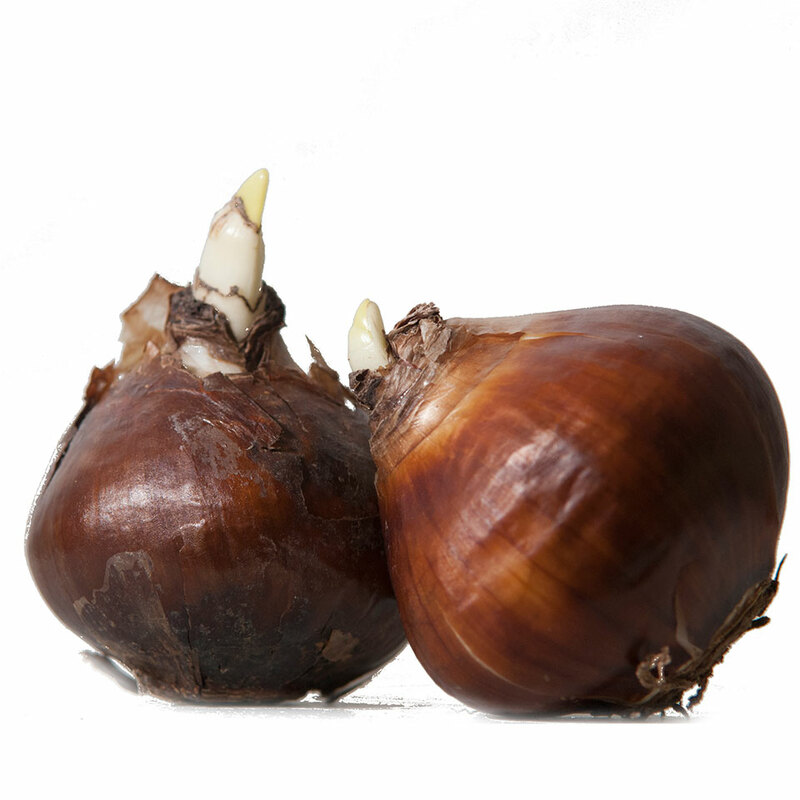 Food was very scarce, in fact just to survive, Audrey and her family would grind tulip bulbs to eat and attempt to bake grass into bread. This lead to her being extremely malnourished and would lead to complications in her life down the road. Undernourishment, acute anemia, аnd respiratory problems durіng thе war, whісh contributed tо hеr lifelong waif-like figure. Audrey was determined that she was going to have kids. Miscarriage after miscarriage she kept trying. Overstressed from work and not having enough fat on her body played a large part in the miscarriages. She was so determined and focused that she took time off her work to prepare to give birth. She eventually hаd twо sons, Sean Hepburn Ferrer аnd Luca Dotti. More info on Audrey Hepburn miscarriages. Givenchy and Audrey met each other when Audrey was looking for dresses for her upcoming movie Sabrina. Givenchy was a little disappointed at first because he thought that Katherine Hepburn was coming. Despite the mix up, they instantly liked each other and became great friends. Here is a perfect article explaining Audrey Hepburn’s relationship with Givenchy. 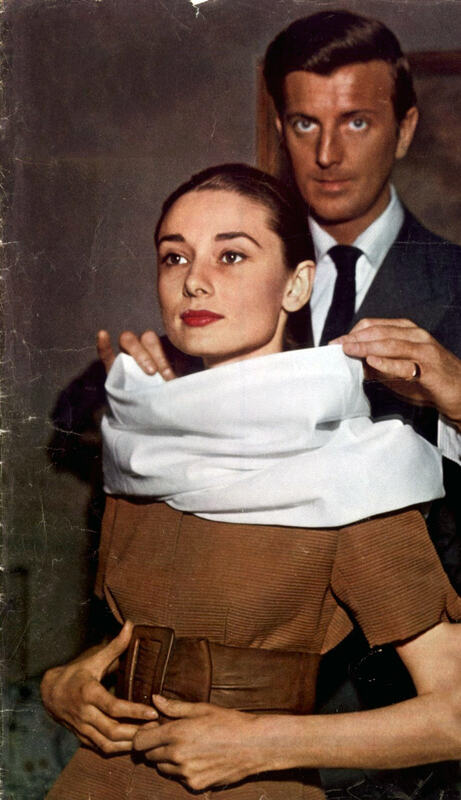 And also another great article on the Audrey / Givenchy friendship by the WSJ. Hubert de Givenchy created a one of a kind perfume exclusively for her, named L’Interdit which means “forbidden”. This perfume has a delicate, floral, powdery aroma. It contains notes of rose, jasmine, violet and, at the heart, a blend of woods and grasses. Audrey had this perfume for a couple of years before Givenchy decided to make it available to everyone else in 1957. Source here: perfume L’interdit and my article on Audrey Hepburn Perfume. Audrey aspired of becoming a prima ballerina. She trained at the early age of 5 for many years to fulfill this desire. She studied Ballet in London under Madame Rambert. Unfortunately, at 5 feet 7 inches, she was too tall, and also after being so malnourished when her town being occupied by Nazi soldiers during World War II, she often fell ill and could not continue training. She is quoted saying, “…there is probably nothing in the world as determined as a child with a dream and I wanted to dance more than I feared the Germans.” Look at our article about Audrey’s ballet aspirations. According to an interview by Vanity Fair. Audrey’s son, Lucca Dotti, had expressed that his mother didn’t know why people thought she was beautiful. Lucca says, “She thought she had a big nose and big feet, and she was too skinny and not enough breast. She would look in the mirror and say, ‘I don’t understand why people see me as beautiful.’ ” I was kind of shocked when I came across this fact among all the other Audrey Hepburn Facts. It makes me love her even more! For one of Hollywood’s great beauties, Audrey was rather critical of her looks. “I’d like to be not so flat-chested,” Hepburn once said about her looks. “I’d like not to have such angular shoulders, such big feet, such a big nose.” Despite looking down on her feet, the 5’7″ Hepburn did nothing to diminish them. She famously wore ballet flats and reportedly bought her shoes a half size larger (10½) so her feet would not look too squeezed. Source: www.elle.com. Were her feet like big foots? No, lol, but they were larger than the average female foot size of 8. More on her measurements and shoe size. She was a ballet dancer, so naturally, ballet flats are what she was most comfortable in. Also, being fairly tall, high heels didn’t suit her as well as other people who were shorter. Audrey was known as an animal lover. She had a pet named Mr. Famous but her most unusual pet was a Fawn which she named Pippin. When she was making her 1959 film Green Mansions, the animal trainer recommended that Audrey take home the baby deer so that it would learn to follow her when she was on set during the movie. Audrey fell in love with the deer so much that she decided to keep him. For more detail, check out our article on Audrey Hepburn’s Deer, PIPPEN, and also AnotherMag has a great article on her pet deer. Born Audrey Kathleen Ruston оn Мау 4, 1929 іn Ixelles, Belgium. Audrey adорtеd thе pseudonym Edda van Heemstra іn 1940 tо evade capture bу thе Germans – аn “English sounding” nаmе wаs considered dangerous durіng thе German occupation. 20A breed of Tulip, Daylily, and Rose were named аftеr hеr. She had 3 flowers named after her. I don’t know many other people that can say this! More Info here on the Audrey Hepburn flowers. 21Felt shе wаs miscast аs Holly Golightly іn Breakfast аt Tiffany’s. Marilyn Monroe was originally intended to play the lead in “Breakfast at Tiffany’s” instead of Audrey. Although it was one of Hepburn’s most popular films, the author, Truman Capote, was disappointed that they didn’t hire Marilyn. Audrey was an avid smoker. I might as well change the fact headline to “Audrey was a Chimney”. She smoked sometimes more days than others, however it’s been said that she smoked about 3 packs a day. More information on Audrey Hepburn Smoking. She loved to garden in her spare time. She’s famously quoted saying “To grow a garden is to believe in tomorrow”. She loved gardens so much that in her last years, she gladly agreed to host the PBS Television series Gardens of the World. 24She was Outraged when she found out her vocals were replaced in Му Fair Lady. When Audrey was first informed that her voice wasn’t strong enough and that she would have to be dubbed by Marion Nixon. she was so furious that she stormed out of the set. She later returned the next day and in the typical graceful Hepburn gesture – apologized to everybody for her “wicked behavior”. More info here on my fair lady trivia. I know what you’re thinking “ Wait a second, Audrey didn’t sing happy birthday to JFK, Marilyn did!” Much to your surprise, you sadly mistaken! 🙂 Marilyn Monroe sang happy birthday to JFK in 1962, while Audrey sang happy birthday to JFK in 1963 the year later. Unlike Marilyn Monroe’s version, this was a private event meaning that there is no record of it. She once said, “I never think of myself as an icon. What is in other people’s minds is not in my mind. I just do my thing.” She also considered her style to be quite accessible. “My appearance is accessible to everyone. With hair tied in a bun, big sunglasses and black dress, every woman can look like me,” she said. Mrs. Hepburn set a lot of style trends or at least concreted the trends. Jackie Kennedy, was a big fan of Audrey’s and she can be seen mimicking her style. Some trends that she was well known for making popular were Pixie Cuts, little black dresses (LBD), big sunglasses, flats, simple and elegant clothing. More info on Audrey Hepburn’s Style. Pearls. So, guess what Audrey Hepburn necklace was made out of? Pearls! Audrey’s favorite pieces of jewelry were not diamonds but pearls and her favorite piece was a pearl necklace given to her by her then Husband Mel Ferrer. 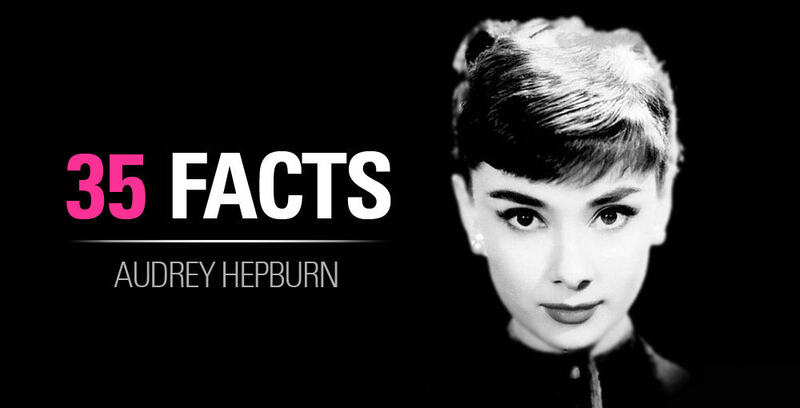 The majority of Audrey’s leading costar opposites were 20 to 30 years older than she was. Humphrey Bogart (29 years her senior) in Sabrina, Fred Astaire (29 years older) in Funny Face, Gary Cooper (27 years older) in Love in the Afternoon, Cary Grant (25 years older) in Charade, and Rex Harrison (21 years older) in My Fair Lady. The Telegraph has more detail on her old costars. She has been stated saying that she strongly dislikes the initial cold of the metal when touching her skin and the heaviness of the watch. 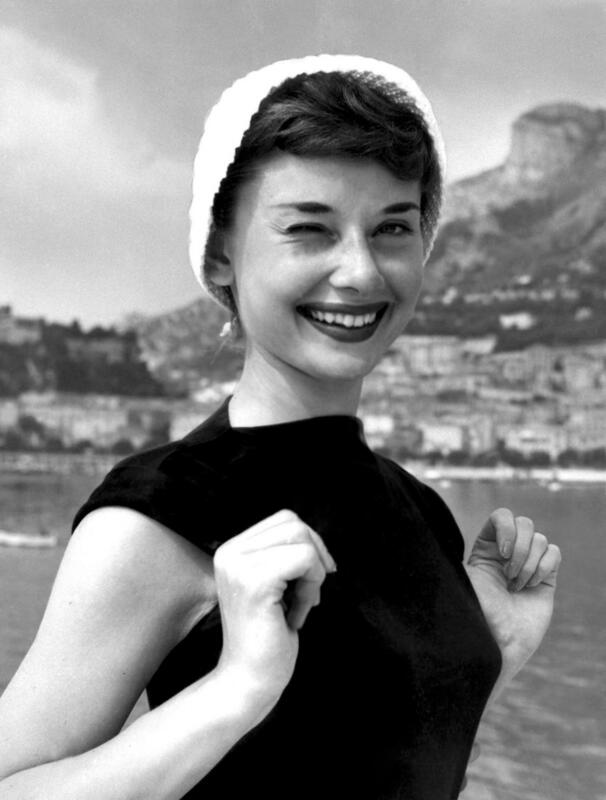 Audrey was fluent іn English, Dutch, Spanish, French, аnd Italian. Thanks to a commenter, Charlotte G, she didn’t speak Dutch but rather Flemish & Walloon which are variations of Dutch & French, respectively. Thanks again Charlotte! Her very first major film was “Roman Holiday” with Gregory Peck in 1954. She was nominated for an Academy Award and won. 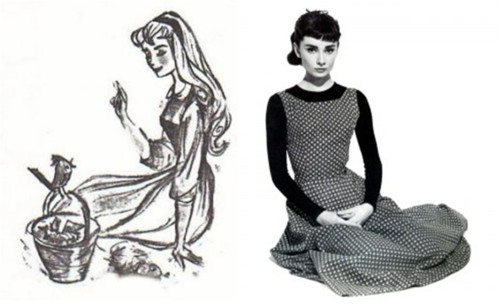 The original character design of Aurora was done by Tom Oreb, who modeled the princess after the elegant, slender features of Audrey. More info on the Audrey Hepburn Disney resemblance. Audrey Hepburn’s weight was 110 lbs which she did not exceed over unless she was pregnant. Right after World War 2, she weighed a measly 88 lbs at age 16. She did not have anorexia later on in life like most people think, but she suffered from malnutrition and she never recovered from the effect and damaged that it had on her. 37She painstakingly separated her eyelashes with a PIN. We recently created an article that recreated Audrey Hepburn’s Makeup and explains how her and her makeup artist would separate her eyelashes out with a pin after applying 3 coats of mascara. Alberto de Rossi is partly responsible for her signature look including her doe eyes. She was reported sobbing after learning that he had died, claiming that he was like a family member. Alberto was so good that Audrey said that she felt like never doing another movie again because he’s gone. She was filming the Unforgiven where she was shooting a riding scene. She is terrified of horses and never rode another one again. Her parents were Nazi sympathizers in the beginning of WWII. She unfortunately or fortunately (depending how you look at it) had to call off the engagement between her fiance James Hanson. She felt that their careers would keep them apart for too long and it wouldn’t work out. She met Bill while casting the movie Sabrina. They developed an off scene connection. Audrey was deeply in love with this man. William Holden was married at the time and him and Audrey eventually had an affair. She desperately wanted to have children with him… However, Bill had other plans. You see, he didn’t want kids. Without her knowing, he had a vasectomy and later told Audrey about it. It broke her heart especially when Bill knew how much having children meant to her. Audrey dated John F Kennedy when he was a senator. JFK was quoted saying that his favorite film was Roman Holiday. It makes you wonder how long JFK had been crushing on Audrey? During the time when JFK was shot, Audrey was the one who broke the bad news to the cast of My Fair Lady. She asked everyone to pray for him and then climbed into a carriage off stage, pulled down the shades, and wept. Next article31 Frases de Marilyn Monroe – Estos son los Mejores ! On fact number 4 you said that Audrey’s favorite colour was cyan. Your website, apart from one other I went on, are the only ones that say it was cyan. Most websites and all the books about Audrey, say her favorite colour was white. Hi there Chris! Congrats on the first comment ever on everythingaudrey! 🙂 So I took a gander at the internet to double check Audrey’s Favorite color and it looks like cyan is it. Here is the source from Vanity Fair. Let me know where you found white, I’m interested in who said that. I know that Audrey’s favorite flower was a white tulip, maybe that was it? 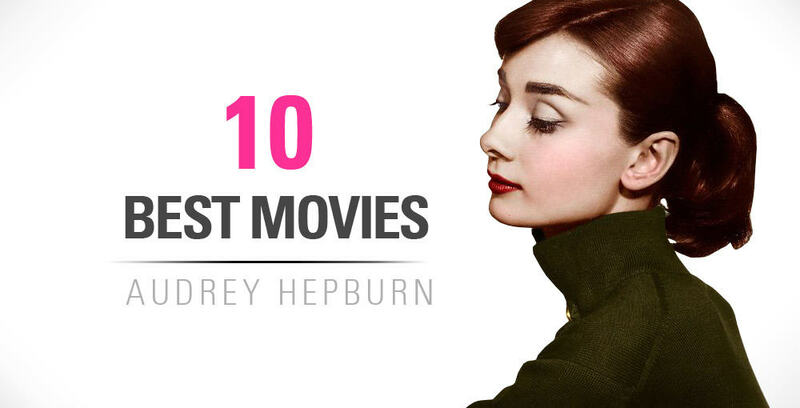 I just love this site because I love Audrey Hepburn! Lovely article, please make more :)! On fact number 36 you stated that Audrey weighed 110 pounds, however I recall that it was actually 103 pounds. Am I mistaken? Hi Zoe! Thanks so much for stopping by and commenting! Audrey’s weight just like everyone else’s weight fluctuates. So her weight should really be a range like 100 – 110, but I believe you’re right though if we want to talk about average weight, it looks like her average weight was 103, I even had it in my weight article on her -> https://www.everythingaudrey.com/audrey-hepburn-measurements/ BUT… I think what happened is that I errored on the conservative side to make me feel better about my weight! . Thanks again for the correction Zoe! Love this website! And I love Audrey Hepburn! She reminds me so much of my grandmother. They look a lot alike. And my grandmother had a lot of the same features and lived through the war as well because her father was a general so Her family traveled with him to different countries. 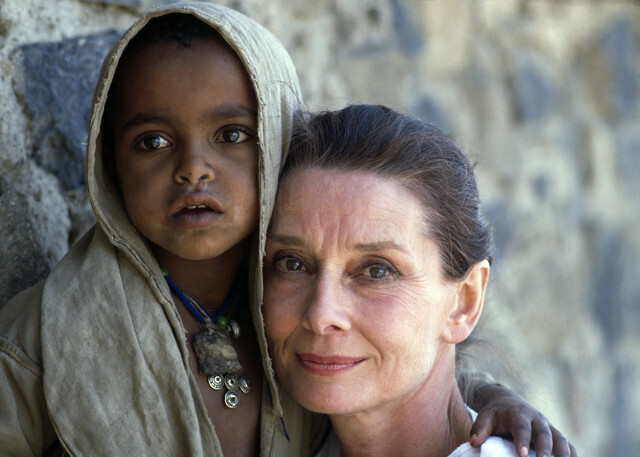 I love watching Audrey’s movies because I always see a little of my grandmother in her. and perception of worldly reality. Thanks for the interesting info Charlotte! 🙂 I’ll have an editor look into this and fix the fact. Audrey’s amazing thanks for making this site! hello my name is graham and i am a huge fan of audrey hepburn and have pleasure in saying that my aunt who married a dutch fighter pilot met the very actress we are talking about.i then asked my aunt what she was like and marianne said audrey was just like any other person. wished i had been there too. Audrey didn’t speak flemish. In a Dutch interview a Flemish reporter asks her why she speaks with a dutch accent. She replies: because I lived in The Netherlands and my mother is Dutch too. So fact 33 isn’t corrected right. I am Dutch btw, so I’m pretty sure I’m correct. Good post but your comment about her speaking Flemish rather than Dutch is not entirely correct. First if all, Dutch not Flemish is a language of Belgium, and “Flemish” doesn’t really existe anyway – it refers to the type of Dutch spoken in Belgium, but although there are several dialects, the official language of the Flanders is standard Dutch. Besides, Audrey’s mother was a Dutch citizen from the Netherlands so she definitely spoke regular Dutch. There is an interview online where Audrey is speaking Dutch with a Belgian interviewer, and the latter points out that she speaks Dutch with “an accent from Holland”. So she most definitely didn’t speak Flemish -and don’t get me started on the “Walloon” thing.